Every once and a while, taking a step away from the hustle and bustle of adulting is a must. I had one of these such moments as I took a random drive one weekend afternoon. To where? I had no clue. Why? Blank on that one too. But I am glad I did, because I found myself catching a breeze in a quite place on the water. And as I stood watching ducks gallivant gracefully while making the most annoying sound I've heard in a while... I thought to myself, "this would be a great place for a gallery".. and wouldn't you know it: holy sh$@. An art gallery. 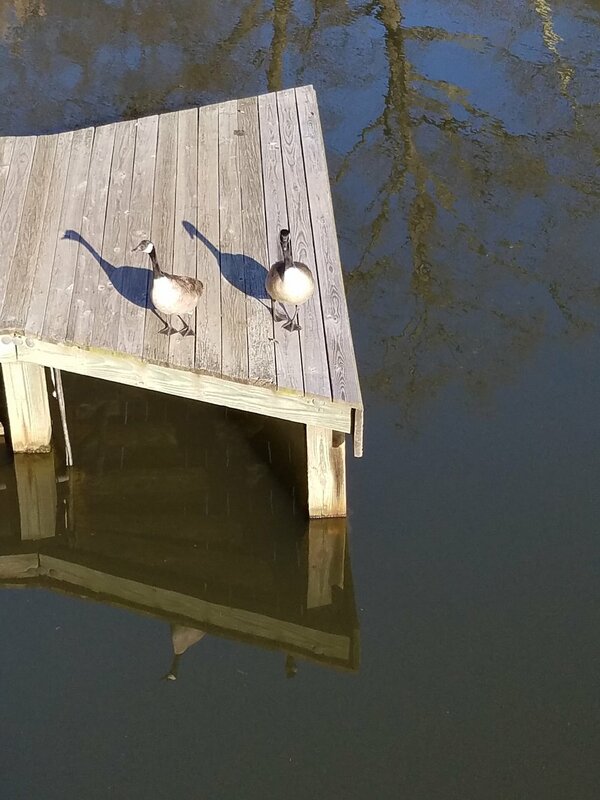 The Reston Art Gallery and Studios is a privately-owned cooperative gallery and studio in the historical part of Reston know as Lake Anne... (see: the annoying ducks). I lucked up as the gallery is only open to the public on the weekend from 12 to 5pm. The woman keeping the gallery also mentioned that I could meet individual artists during weekdays by appointment. If you're interested, new artist are selected into the gallery by current artist members. Because of the size of the gallery and its accommodation to local artist, a waiting list is kept for actual studio space. Although there were no artists there at the time, I was able to see the space's dual usage as an open place for artists to work and for visitors to watch and talk through the entire process. If human interaction isn't your thing, the gallery holds rotating monthly displays of members work for sale including paintings, mixed media, collage, photography, jewelry, printmaking, and pastels. When you have the chance, go check out the gallery. Its an ideal space to not only clear your head but get in contact with local artists and art lovers alike. And maybe bring some bread for the ducks.